WorkSource Spokane offers help to jobseekers by providing job listings, computer help and classes. Hours are Monday through Friday from 8 a.m. to 5 p.m.
WorkSource Spokane is located at 130 S. Authur St. and can be reached at (509) 532-3000 or online at www.wa.gov/esd/spokane. The Institute for Extended Learning – which is part of the Community Colleges of Spokane – offers six-week career training classes in computer training, English, math and life skills education. Cost is $300 per class, but many students are eligible for financial assistance. Free information sessions are held Wednesdays from 1 to 3 p.m.
To register, call (509) 279-6065 or email dmckinnon@iel.spokane.edu. When Bobbi Worley became unemployed in August, she figured she’d find a new job rather quickly. After all, she’d worked as a bookkeeper for 40 years in a handful of different industries, and she’d never been unemployed for long. “Bookkeepers will always be needed,” Worley said. Yet it turned out that finding a new job has been everything but easy. Somewhat frustrated by her search, Worley hooked up with WorkSource Spokane. She also signed up with every temp and professional placement agency in town she could think of. Still, she’s had no luck finding a job. At 60 years old, the Ferris High School graduate began to wonder if she simply needed more education. A WorkSource counselor recommended she look into Community Colleges of Spokane’s Institute for Extended Learning and the Career Transitions classes available there. These classes are aimed at people like Worley who have lost jobs after long careers, or people who are facing personal or professional transitions such as unemployment, divorce or widowhood. “I love going to school. Give me the chance and I’m there,” Worley said. She has just finished a class in Quick Books – a computer bookkeeping program – to update her work skills. 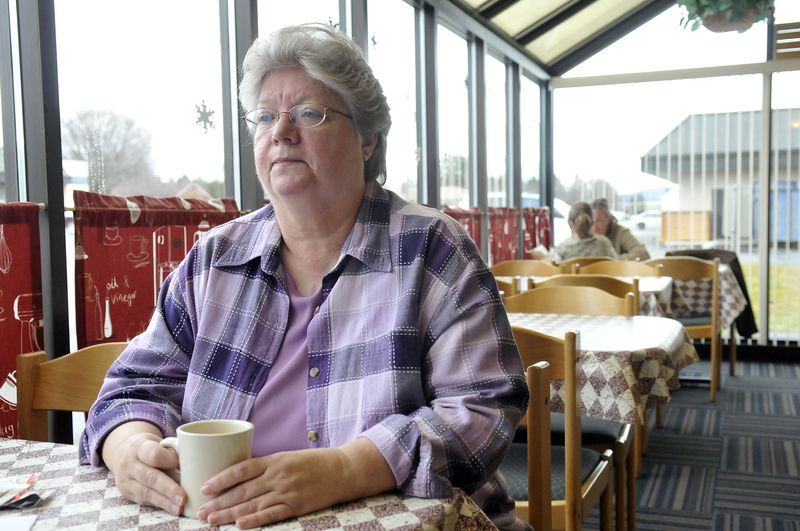 Like many others who are laid off after a long career, Worley feels like a fish out of water. Too young to retire – she takes care of her mother, who lives with her – and too old to start over from scratch, job-seekers like Worley say they struggle in the new economy. Classes are $300 a piece, but McKinnon said 90 percent of students can be funded by financial aid or other sources. “Don’t stay away because you don’t have $300 – we can help you,” said McKinnon, adding that Career Transitions is a great launching point for people who have gotten laid off later in life or who have been out of the job market for a while. Worley sometimes feels like her strong employment history gets in the way of her landing a new job. Worley was with her last employer for six years. Last time she looked for work was after she returned to Spokane in November 2004. Worley’s story doesn’t have a happy ending – yet. She continues to look at job listing websites every day, and she’s contemplating taking the English class at IEL. McKinnon said Worley is doing all the right things in a tough job market.